It’s a ticking clock for B2B to comply with the GDPR regulations and norms. Soon your business needs to follow up and set a plan on how to proceed with this new law. It has always been that B2B marketers have some advantages over their B2C cousins. But here, consent for B2B marketing will come more in line with B2C marketing. Almost 6 months left until the enforcement deadline for the General Data Protection Regulation (GDPR). The responsibility lies not only on marketers but also on every member of a company. 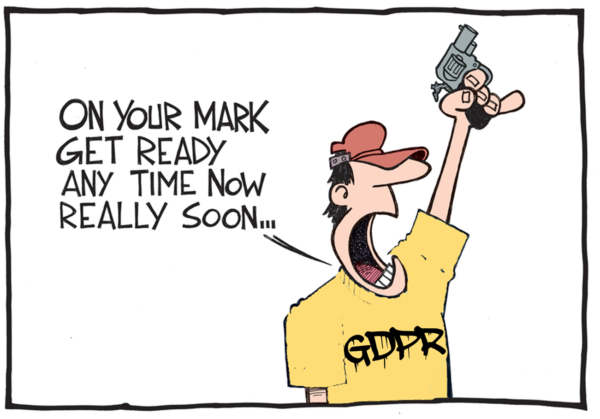 In a study of more than 800 IT and business professionals that are responsible for data privacy at companies with European customers, Dell and Dimension Research found that 80% of businesses know few details or nothing about GDPR just a year ago. Hopefully, that’s much better now, but with many employees who might be communicating with the market, it may still not be the case. What are the Costs associated with GDPR? Will spend an average of €1.3 million ($1.4 million) on systems and staff-training to comply with the GDPR. Companies could face fines of up to 4% of the revenue or max 20M€ if they don’t comply with the GDPR. 65% of companies are seeking external help to comply with the regulation, which certainly comes with its own price tag. 1. Any organisation that is found to be using inaccurate or non-permissioned customer data will have to pay a highly costing fine of up to 4% of your global turnover up to 20 million EUR! 2. There is an additional threat of consumer litigation which means that if the consumer thinks you have misused his data, she can sue you. We have heard quite much about confining to the new rules, respecting the customers privacy, auditing data! Where are you in all of this? And what have you reached? Have you got your customer data in order? Are your marketing directors and sales managers ready to deal with GDPR? What businesses should focus on instead with these new regulations is to make the whole selling operations more efficient and cost-effective. You can read more on our page on concrete action planning for GDPR. When the proposals stated in the GDPR will come into effect, it will have a negative effect on the economy of the whole EU. And that includes your business as well. Some marketers are confident about how to approach and work with GDPR while others claim to manage it even if they haven’t a concrete strategy. 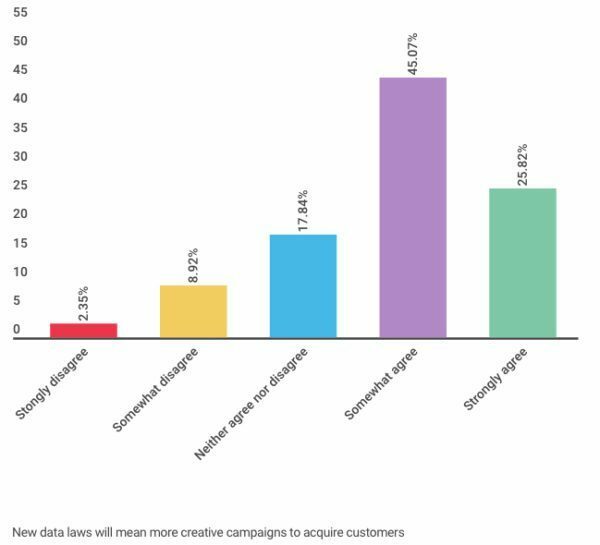 4 in 10 marketers believe their ability to meet consumers’ demands will improve after the GDPR and 65% of respondents to the survey said the privacy law will hinder their marketing. What Research from Royal Mail Data Services (RMDS) came across? 1. Over 60% of companies have no formal processes in place to cleanse data or are unclear on how they keep their customer data clean and up to date. 2. Less than one in five firms addresses the issue of data quality with daily or continuous data cleansing. 3. The average cost of poor-quality customer data to businesses is now running at 5.9% of annual revenue. 4. Nearly half of all firms (48%) either have no plans to or do not know whether they will seek new permission from their customers. 5. Nearly half (49%) of businesses now rely only on customer data they have captured themselves compared to 39% from 2014. But the results show clearly that is not the case if only 25% of marketers think that there is a good chance and opportunity to increase and acquire prospects. Q: What are the biggest barriers to GDPR compliance? A: Legal complexity and budget. As the chart shows, US companies seem to be much more ahead and ready to conform to the regulations than European companies. Q: Do Businesses, Prospects and consumers even know about this personal data stuff? A: They do, and many of them would request companies to hand over their data. Simply put, regardless of your domain, a business needs to comply to the rules of the GDPR. These items imply that businesses have to comply to GDPR and be Data safe users. Wake up Marketers! Wake up CEOs! And everybody else! You should obviously keep up with your own customers. It sounds easy, but it is a process and procedure that you need to follow hand in hand with the new regulation of the GDPR. Without accurate information on your prospects or the people who buy your products and services, how can your company hope to develop meaningful relationships with them? 2. 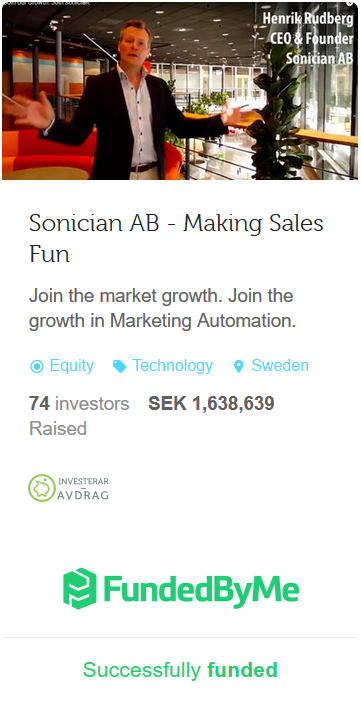 But only 44% automatically validate it at the point of online entry. c. Out of date or duplicate records on customers. Bare in mind: Customer relationships is based on the notion of customers opting-in to the marketing process. Information will be of better quality and lead to higher engagement and conversion rates. How can you make your customers feel valued if you haven’t spelled their names correctly? How can you anticipate your customers’ needs if you have no insight into the major events in their lives? If you are willing to lift your business to the next level and grasp the GDPR , there is a huge opportunity to use it to drive growth and revenue through enhanced customer data management. Stay tuned to get more explanation on the finer nuts and bolts of the new GDPR law and join us to our step by step free webinars on GDPR and your business.